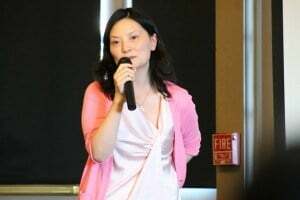 UCSD computer science professor Yuanyuan Zhou discusses her latest application, Whova, and the problems women face in the technology industry. 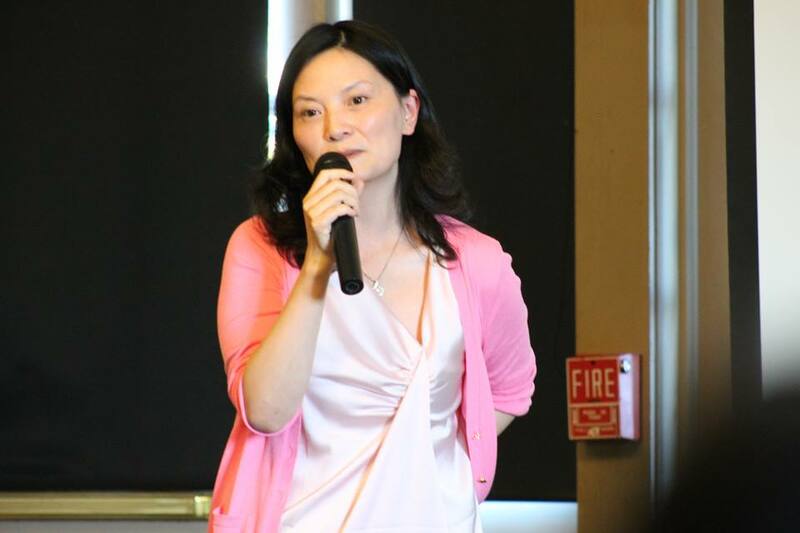 As a dedicated professor, three-time company founder, respected researcher and mother, it is a wonder that Yuanyuan Zhou had time to attend the first ever Celebration of Women in Computing in Southern California conference which took place April 5 and 6 in Carlsbad. Nevertheless, on Saturday afternoon, she was standing before an audience full of young, aspiring female engineers to share her experiences. With a doctorate in computer science from Princeton, three startups and volumes of research to her name, Zhou is intimidating in description but humble and talkative in person. Her relentless energy serves her research, her company, her students and her desire to increase the presence of women in computing. She has worked in various fields from operating systems to software to system failures to data mining; she has no reservations about learning something new. This eclectic experience and her enthusiasm for teaching make her an invaluable resource. Zhou enjoys her professor position because of the positive influence she can have on UCSD students. “I like how in a 30-minute conversation, you can really help them; you can change their career,” Zhou said. That career-changing moment came when Zhou proposed her latest venture, an event mobile application called Whova, and getting a team together with less than a month to create it. Whova can be used to help link existing communities of professionals. In an age where one’s personal and professional profiles can be found online, networking has become an increasingly important tool in one’s career-building belt. Whova centralizes an attendees’ published work, blogs and social media profiles into one Whova profile, eliminating the time cost of Googling said person. Other attendees at certain events can browse through these profiles in order to get a sense of whom they should talk to and what they should talk about. “The app is very useful for academic events because students are looking for jobs and industry is looking for people,” Zhou said. Zhou’s team finished the app three days in advance of its projected completion date. Whova’s utilization has been widespread from ArtPower! in San Diego to a World Wide Web conference in South Korea, as well as in UCSD itself. Zhou says her team will go the “extra mile” to provide event reports to organizer-users. To Zhou, Whova’s potential goes far beyond efficiency. “The fact that you attend an event must mean you have some shared interest and something in common with this group of people, so why not just build a community?” Zhou said. Zhou’s participation in CWIC-SoCal shows her belief in the power of community. She, like many well-established women in her field, believes technology and science need more women. When Zhou speaks about her experience, she admits to feelings of intimidation. This is a common problem for women who want to get into technology but are put-off by their lack of experience. Zhou seems to believe experience is only a part of what makes one successful. Zhou and her team champion perseverance in the face of a steep learning curve. She considers this perseverance to be essential for female computer scientists in order to achieve great things in research and software development, and serves as an example to aspiring women in these fields. Good idea, really bad choice using cursive for the logo. Google it, you will see what I mean when glacing at “whova” for the first time.